Ryan Joseph Retreats offer an immersive Art, Yoga, Meditation, and Healing Ayahuasca /San Pedro Retreat in the Sacred Valley of Peru in the most authentic, professional, luxurious & comfortable environment available. Facilitator and tour guide Craig McKenzie will be an inter-meditatary between the traditional practices of the local shamans, medicine and guides, bridging the gap between two worlds and offering different views of integrating the spiritual experience and how to take that and put it into place in order to make life bettering changes. Taking the last 3 years of living and studying in Peru and having concluded many long master plant diets has set Craig up with a wealth of knowledge surrounding plant medicine traditions to share open heartedly. Artist Ryan Joseph will be teaching his ART THERAPY techniques to help heal your soul and increase happiness and creativity. His background as a psychologist teaching therapy for over 15 years along with his artistic skills form to make a great connection between the mind and the arts. Art therapy is a wonderful method that uses art media as its primary mode of expression and communication. It will be a great method to express your plant medicine journey. Ryan Joseph Retreats represent a combination of ancient practices, techniques, teachings and medicines that have had a personal impact on my own life personally. We offer an all-inclusive small boutique retreat of 10 guests maximum so that we can work with each individual deeply. With these combined practices and techniques we believe our retreats offer the fastest way to accelerated learning and connecting with our true self. Our team will be honoured to help guide you on your spiritual journey every step of the way during your time with us. Our Ayahuasca retreat in the serene and mystical Sacred Valley of Peru is considered one of the most energetically powerful places on Earth and is truly a trip of a lifetime. We find that simply being in the presence of the ancient Andean mountains, historical ruins, and crisp air offers wisdom and deep nourishment for the mind, body, and spirit. Experience the sacred healing power of plant medicines, awaken to your inner truth through witnessing and exploring the beautiful natural Andean landscape, relax and dine at luxurious resort and cultivate a sense of mindfulness and appreciation for yourself as part of it all. Not only will you be healing yourself from deep within and transforming your life but also getting to witness one of the new 7 Wonders of the World, Machu Picchu. We have gone to great details to organize our retreat for maximum personal benefit combined with other exciting excursions but yet balanced with enough down time for reflection and relaxation. Craig McKenzie closely works with the most skilled and dedicated Shipibo shamans for supported by a staff of Healers and Facilitators to bring you a comprehensive program deeply rooted in the traditional practices of ancestral medicine. We offer a safe, caring, and effective space to begin your journey of transformation, helping you every step of the way as you uncover the energetic roots of any trauma, negative thought patterns, unhealthy habits, or spiritual imbalance. Our carefully constructed program optimizes your healing by incorporating Eastern and modern philosophies for long-term integration into a modern world. Ryan Joseph will be leading art therapy, meditation and yoga daily sessions to connect the mind, body and soul with the teachings of the plant medicine and help to express your experiences in many forms. Following your time with us, you will return to life back home with a new perspective and a deeper understanding of yourself and your truth, and will be equipped with the skills and tools necessary to integrate your experience into your everyday life. This amount of medicine is considered to be a perfect balance of deep transformation and extreme enlightenment. They are designed for those who want to 'do the work' and take every opportunity the plants afford for deep transformation and enlightenment. As such, we put great care into your daily itinerary and retreat schedule. Practiced over years of experience, we intertwine the intensity of ceremony with the need to rest; to explore; to stretch; to admire; to be; to process; and to integrate. Our plant medicine retreats can be extremely transformative and enlightening, and we know that such work also requires the need to experience stillness and solitude. Our goal is to welcome and guide you to new findings resulting in a lighter, brighter, more authentic self, and the full experience of love. It is our honor to help you on this most fulfilling of all journeys: the journey back home. Welcome! After your flight to Lima, Peru and your connecting flight to Cusco, Peru, you will then check in to our hotel for one night in Cusco. We will all be meeting each other and then going out for a group dinner to get to know each other, a night out to experience the city and to talk about our upcoming journey. After a long flight we will enjoy a good night sleep before our adventure begins early the next morning. We will begin the day with breakfast and then an introduction to plant medicine. San Pedro will be our first ceremony and medicine. San Pedro is a gentle and loving medicine, filled with warmth and light. This ceremony is done during the day, so you’ll have the chance to step outside and bask in the beautiful landscape, both within and without. Those who work with this medicine describe the essence of the experience to be an opening of consciousness and connection to the oneness all around us, of which we are all a part. Through this opening and connection, the ability to release and heal on all levels, including physical, is presented. The San Pedro cactus contains a variety of alkaloids, including the well-known chemical mescaline. Not surprisingly, therefore, psychedelic journeys are similar to those reported from peyote (Lophophora williamsii) and Peruvian torch (Echinopsis peruviana). San Pedro’s effects are generally reported as more gentle than, say, Ayahuasca, which may derive from its chemical properties being similar to the catecholamine dopamine. Some drinkers report time spent with this medicine as like being held in the loving embrace of an ethereal goddess. As always there’s a price to be paid for entry into the divine realms: drinkers say the taste of the cactus juice is at least as repulsive as that of Ayahuasca. As with other plant entheogens, San Pedro has medicinal value, especially as treatment for alcoholism, depression and PTSD. While cultivation of the plant for decorative purposes is not illegal in most countries, extraction of the mescaline alkaloid is highly penalized in many places. Therefore, scientific study of its therapeutic and psychoactive effects have been stymied since the 1970s. After breakfast and check-out of our Cusco hotel we will be commuting to the village of Pisac for our first excursion. The Incan ruins known as Inca Písac which lie atop a hill at the entrance to the valley. They are separated into four areas stretching along the picturesque ridge- Pisaqa, Intihuatana, Q’allaqasa, and Kinchiracay. The settlement is built on row upon row of fine stone terraces, laid out on a natural balcony. The layout is thought to represent a partridge’s wing- pisac meaning “partridge”. Visitors to the upper sector are rewarded with spectacular panoramic views of the Andes mountains. The main Temple of the Sun is built on a huge protruding spur of volcanic rock, carved into a “hitching post for the sun” or Inti. Angles at its base serve to define the changes of season. There are also baths, altars, water fountains and a ceremonial platform whilst above these ruins lie several ancient burial sites, many still unexcavated. The afternoon will lead us to our home base retreat centre where we will then enjoy meals, have some time to relax, prepare for our upcoming Ayahuasca ceremonies and have our Nunu ceremony performed that evening. The medicine of Nunu (Rapé) is a powerful and potent blend of ground tobacco. It is considered a traditional medicine with a multitude of physical and spiritual benefits. Known as “the medicine of air and fire,” the blend is blown up the nostrils by a shaman to facilitate a clearing of emotional, physical, and spiritual blockages, enabling a thorough grounding and centering of the recipient. The intense blow immediately focuses the mind, silences the chattering, and paves the way for your intentions to take center stage. Many shamans use Rapé to cleanse their energetic field and increase their connection with themselves and the world. As an added bonus, it also clears the sinuses and has incredible antimicrobial benefits for the nasal passages. The ceremony will take place prior to your first Ayahuasca ceremony, in order to help prepare you and connect you to the sacredness of tobacco, a powerful plant ally of Ayahuasca. After breakfast, we will gather for group share with the team and the Shamans. Here you will learn about the Ayahuasca ceremony process. After the group share we will have each guest individually meet with the Shamans to discuss your intentions for the ceremony. Our Shipibo shamans, will guide you as you begin your healing journey with Ayahuasca, and integrate your intentions into the personalized icaros (songs of the plants) that they sing directly to you during the ceremony. All this is done in the native Shipibo dialect, passed down through a lineage of Shamans from generation to generation. This time-honored tradition has a far-reaching ancestral legacy of plant spirit shamanism, in which the knowledge and healing energies of the plants are transmitted through the icaros sung in ceremony to heal a wide range of mental, emotional, spiritual, and physical ailments. 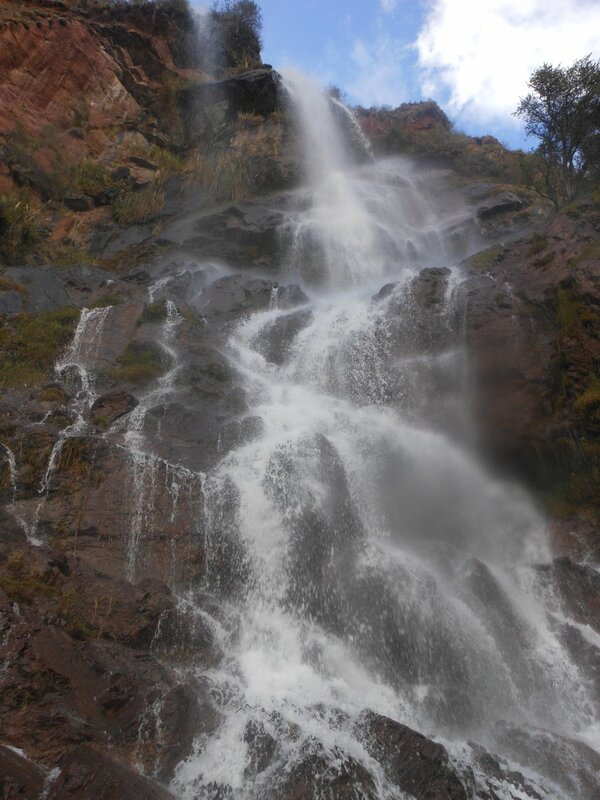 After we have our lunch we will then go to a majestic waterfall to have our floral baths in preparation for our first Ayahuasca ceremony that night. The hours right before ceremony are quiet time so you can prepare yourself mentally. The morning will begin with a group share of our first Ayahusca ceremony. Here we will discuss with the Shamans how our night went and we will be given our intentions for the upcoming ceremony in the evening. After we will have the whole day open for art expression therapy and to experience all the amenities of the retreat centre and its grounds. A day of relaxation and reflection. We understand that working with the medicines isn’t always easy, as we are sometimes brought face-to-face with parts of ourselves we have avoided for so long. This is important work, and necessary for true healing, and so we find that balancing this effort with opportunities to decompress, play, and connect with others in our slice of paradise translates to a more effective and fulfilling healing journey. What we experienced with the medicine may be hard to express through speech and may reveal itself in other ways. Meditation, art and breathwork are some possibilities to express ourselves using different channels as we normally use. As we begin to more fully open ourselves up to love and our true selves, a clear truth is revealed: Put simply, life is about love and connection – to ourselves, to others, and to the Earth. It is our sincerest joy to offer you the opportunities that can guide you deeper into this truth for yourself, in whatever unique way that is for you. A day of connecting with the body and mind. Yoga and another day of San Pedro will be on today’s agenda. It will be our last day of plant medicine so it will be your chance to fully connect with your mind, body and soul. Enjoy the solitude in the beautiful gardens and surroundings or take advantage of the optional massage and spa facilities at the retreat centre. This is your day for complete enjoyment. An exciting day with an excursion to Naupa Iglesia and to Ollaytaytambo. Naupa Iglesia is a fascinating site, often overlooked -- A must-see! This is a relatively unknown archeological site often attributed to the Incas but on further inspection probably was a product of some higher civilization whose technology has been lost in history. It consists of a large portal with a double false door carved or scooped into the side of the mountain . The precision of the carvings with straight 90 degree angles is astounding. There is at the site also a beautiful black basalt rock with three seats or rectangles carved into it - an altar. Also carved is a partial Inca cross - simply beautiful. Once again the precision of the angles and workmanship is phenomenal. Certainly this could not be accomplished by the Incas which had only bronze and stone tools. This leads one wonder which civilization was responsible for this work. In any case, this site is often overlooked by tourists. Though of course Machu Picchu, Olly, Pisac, Moray are more prominent, this site is intellectually fascinating as well. 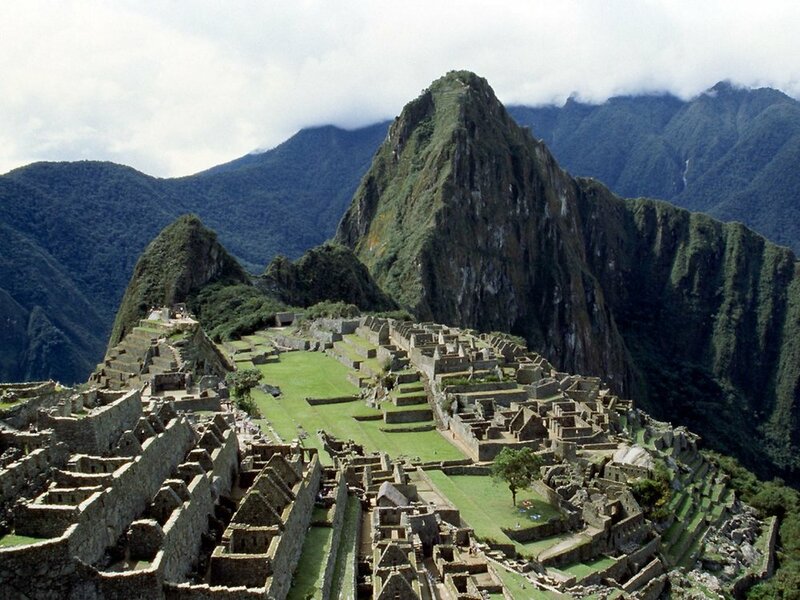 Our final day will have us witnessing one the new 7 Wonders of the World, Machu Picchu. Machu Picchu is an Incan citadel set high in the Andes Mountains in Peru, above the Urubamba River valley. Built in the 15th century and later abandoned, it’s renowned for its sophisticated dry-stone walls that fuse huge blocks without the use of mortar, intriguing buildings that play on astronomical alignments and panoramic views. Its exact former use remains a mystery. After our excursion to Machu Picchu we will finish back in Cusco where we will enjoy our last group celebration meal. We will then say goodbye and wish everyone well with their new findings resulting in a lighter, brighter, more authentic self, and the full experience of love. It is our honor to help you on this most fulfilling of all journeys: the journey back home. According to the Shipibo, there is a time-honored tradition of following a special diet to prepare oneself for the healing energies of Ayahuasca. There is a discipline and commitment that is called upon. Our chefs will be providing exceptional meals (both raw and cooked) that adheres to this discipline from an exclusively plant-based perspective (with the exception of eggs for breakfast). We have passionately instilled in the chefs at our retreat centers a great pride in providing you with foods that open the potential of your journey inwards during your Ayahuasca retreat here in Peru. Please provide any meal restrictions or allergies in the medical form upon registration. Ayahuasca retreats can be physically demanding which is why we wanted to set our retreat above the rest, and incorporate the feel of luxury to your stay. The great majority of Ayahuasca retreats in Peru are located deep in the jungle lowlands of the Amazon Basin at purpose-built Ayahuasca camps which can be uncomfortable. 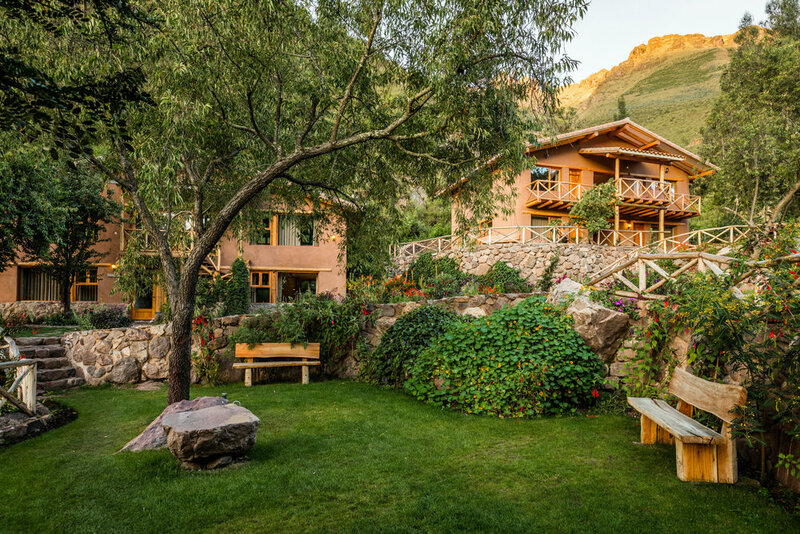 We choose to host our retreats at a stunning, luxurious and secluded resort in Cusco, Peru. During our ceremonies we will be staying in luxury at a beautiful resort in the Sacred Valley. The resort has spectacular views of the mountains and valleys and stunning gardens and grounds. We can offer you those little luxuries more typical of a hotel environment including, wifi, reliable hot water showers, electricity (lights and fans), room service, large comfortable beds along with various pool and lounge facilities along with added spa options.